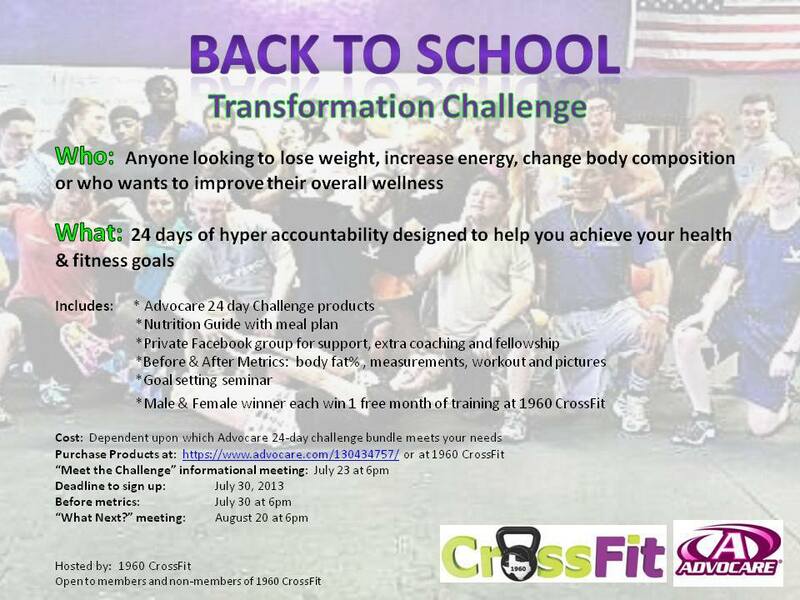 My gym is hosting a Back to School challenge August 1st-24th, but I’m opening it up to everyone on the Interwebz! I’ll be doing the challenge again with y’all. To see my results from the last time I did the challenge, click here. It was an awesome experience, and I’ve kept it off. I’m ready to take it to the next level, and I want everyone to join me! For appetite control, click here. For weight management, appetite control and overall wellness, click here. 2. Add me personally as a friend on Facebook so I can add you to our secret group. I’m going to post a daily workout in the Facebook group that can be done any where; that way those that don’t have access to a gym can participate, too. The goal setting seminar I do at the gym will be recorded and uploaded so everyone can learn to set goals. On day 24, you’ll remeasure and take an after “selfie.” The “out-of-towner” with the most inches lost will receive a goody bag in the mail! There is power in numbers, and I know that the more people who participate, the greater results we’ll experience together. Who’s in? The deadline is July 30th!